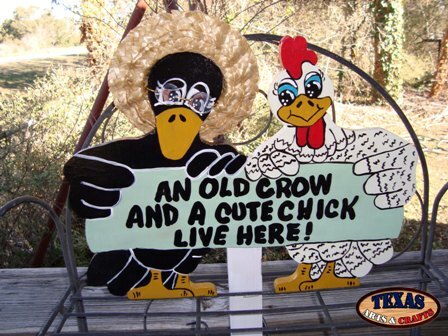 The Old Crow and Cute Chick Sign is built in our workshop. It has a black crow and a white chicken. The sign reads An Old Crow and A Cute Chick Live Here. The dimensions are approximately 13 inches tall by 16 inches wide by 2 inches deep. The sign has a 36 inch stake. The sign weighs approximately 3 pounds with packaging. For the continental U.S. shipping and handling is included in the listed price. For shipping outside the continental U.S. please contact us through our Contact Us page. 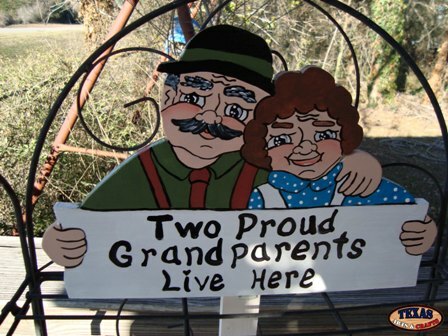 The Two Proud Grandparents Sign is built in our workshop. An old couple is hand painted onto the sign. One with a green shirt and the other with a blue blouse. The sign reads Two Proud Grandparents Live Here. The dimensions are approximately 10.25 inches tall by 15.50 inches wide by 2 inches deep. The sign has a 36 inch stake. The sign weighs approximately 2.50 pounds with packaging. For the continental U.S. shipping and handling is included in the listed price. For shipping outside the continental U.S. please contact us through our Contact Us page. 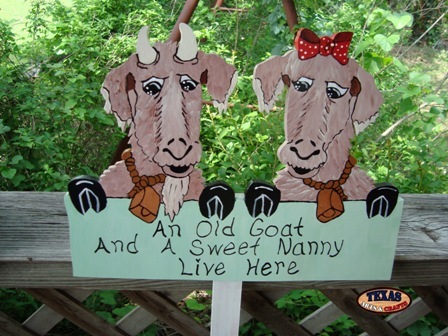 The Old Goat and Sweet Nanny Sign is built in our workshop. Two old brown goats are hand painted onto the yard sign. 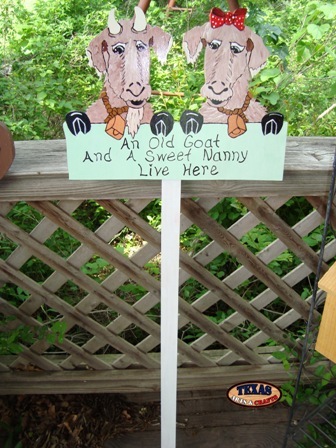 The sign is a pale green color and it reads An Old Goat And A Sweet Nanny Live Here. The dimensions are approximately 12.50 inches tall by 16.25 inches wide by 1.50 inches deep. The sign has a 36 inch stake. The sign weighs approximately 2.50 pounds with packaging. For the continental U.S. shipping and handling is included in the listed price. For shipping outside the continental U.S. please contact us through our Contact Us page. 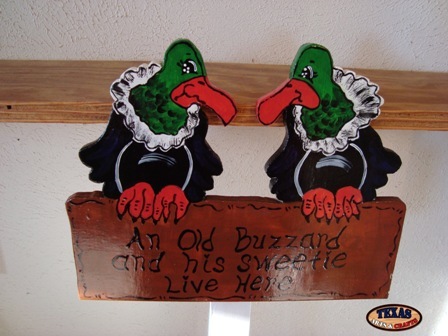 The Old Buzzard and His Sweetie Sign is built in our workshop. 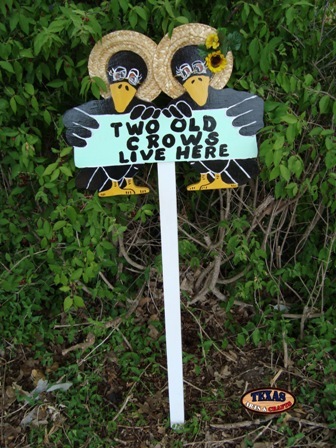 Two old black and green colored buzzards are hand painted onto the yard sign. The sign is a dark brown color and it reads An Old Buzzard and His Sweetie Live Here. The dimensions are approximately 9.50 inches tall by 12 inches wide by 1.50 inches deep. The sign has a 36 inch stake. The sign weighs approximately 2.75 pounds with packaging. For the continental U.S. shipping and handling is included in the listed price. For shipping outside the continental U.S. please contact us through our Contact Us page. 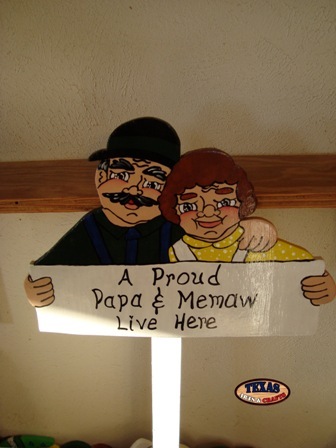 The Proud Papa and Memaw Sign is built in our workshop. Two middle aged people are hand painted onto the yard sign. The man is painted with a green shirt and the woman is painted with a yellow shirt. 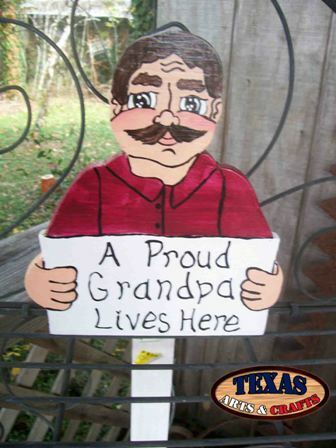 The sign is a white color and it reads A Proud Papa & Memaw Live Here. The dimensions are approximately 11 inches tall by 15.50 inches wide by 1.50 inches deep. The sign has a 36 inch stake. The sign weighs approximately 2.75 pounds with packaging. For the continental U.S. shipping and handling is included in the listed price. For shipping outside the continental U.S. please contact us through our Contact Us page. 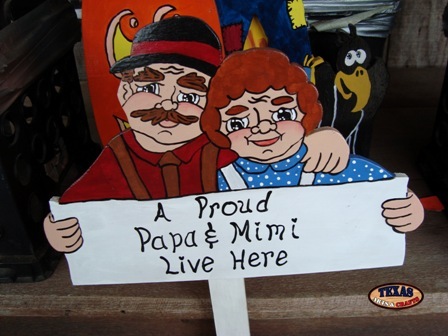 The Proud Papa and Mimi Sign is built in our workshop. Two middle aged people are hand painted onto the sign. The man is painted with a red shirt and the woman is painted with a blue shirt. 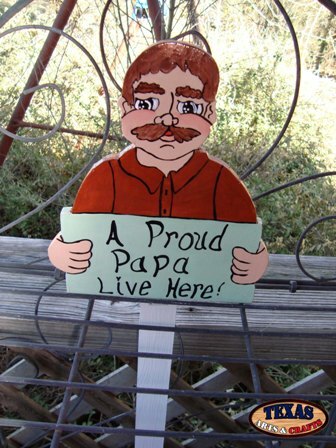 The sign is a white color and it reads A Proud Papa & Mimi Live Here. 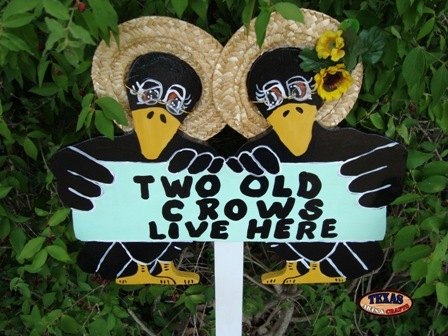 The Two Old Crows Sign is built in our workshop. Two black crows with hats and glasses are hand painted onto the sign. The crows are holding a green sign that reads Two Old Crows Live Here. The dimensions are approximately 13 inches tall by 16 inches wide by 1.50 inches deep. The sign has a 36 inch stake. The sign weighs approximately 3.25 pounds with packaging. For the continental U.S. shipping and handling is included in the listed price. For shipping outside the continental U.S. please contact us through our Contact Us page. 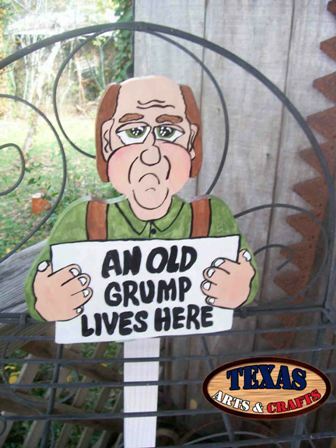 The Old Grumpy Sign is built in our workshop. It has an old guy with a receding hair line in a red shirt. The sign reads An Old Grump Lives Here. The dimensions are approximately 10 inches tall by 9.25 inches wide by 2 inches deep. The sign has a 36 inch stake. The sign weighs approximately 2.25 pounds with packaging. For the continental U.S. shipping and handling is included in the listed price. For shipping outside the continental U.S. please contact us through our Contact Us page. 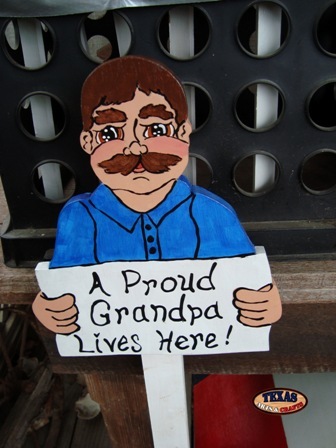 The Grandpa Sign is built in our workshop. It has a middle aged man with a red shirt. The sign reads A Proud Grandpa Lives Here. The dimensions are approximately 9.25 inches tall by 8 inches wide by 2 inches deep. The sign has a 36 inch stake. The sign weighs approximately 2.25 pounds with packaging. For the continental U.S. shipping and handling is included in the listed price. For shipping outside the continental U.S. please contact us through our Contact Us page. The Old Grump Sign is built in our workshop. It has a middle aged man with a receding hair line. The middle aged man is wearing a green shirt. The sign reads An Old Grump Lives Here. 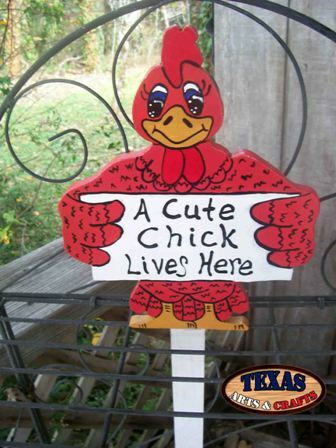 The Cute Chick Sign is built in our workshop. It has a red chicken. The sign reads A Cute Chick Lives Here. The dimensions are approximately 11 inches tall by 9 inches wide by 2 inches deep. The sign has a 36 inch stake. The sign weighs approximately 2.25 pounds with packaging. For the continental U.S. shipping and handling is included in the listed price. For shipping outside the continental U.S. please contact us through our Contact Us page. 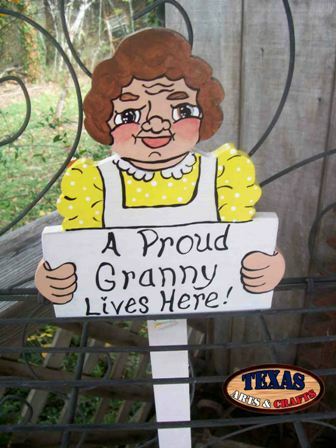 The Granny Sign is built in our workshop. It has a middle aged woman with a yellow shirt and apron. The sign reads A Proud Granny Lives Here. The dimensions are approximately 9 inches tall by 8 inches wide by 2 inches deep. The sign has a 36 inch stake. The sign weighs approximately 2.25 pounds with packaging. For the continental U.S. shipping and handling is included in the listed price. For shipping outside the continental U.S. please contact us through our Contact Us page. 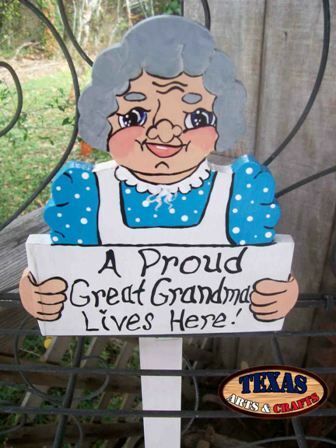 The Great Grandma Sign is built in our workshop. It has an old woman with a blue shirt and apron. The sign reads A Proud Great Grandma Lives Here. 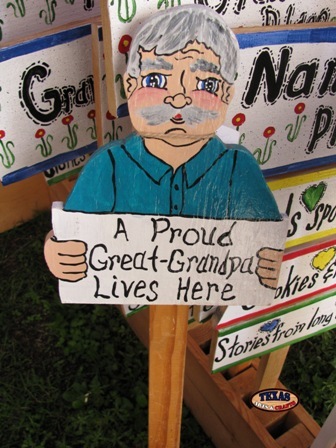 The Great Grandpa Sign is built in our workshop. It has an old man with a blue shirt. The sign reads A Proud Great Grandpa Lives Here. The Proud Mimi Sign is built in our workshop. It has a middle aged woman with a red shirt. 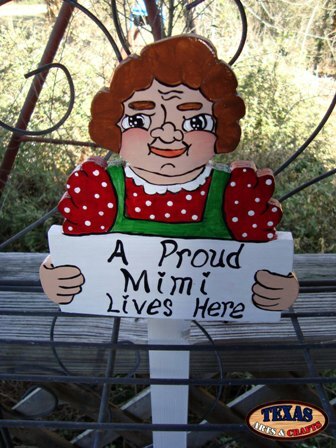 The sign reads A Proud Mimi Lives Here. The Proud Papa Sign is built in our workshop. It has a middle aged man with a orange shirt. The sign reads A Proud Papa Lives Here. 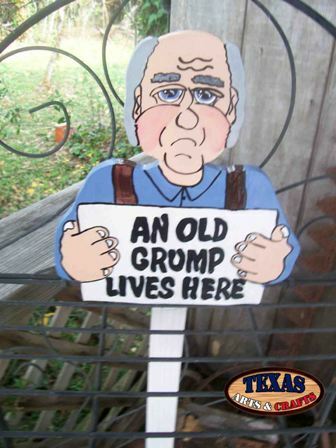 The One Old Grump Sign is built in our workshop. It has an old man with a blue shirt. 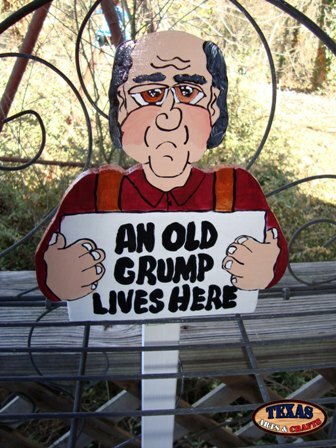 The sign reads An Old Grump Lives Here. The An Old Buzzard Sign is built in our workshop. 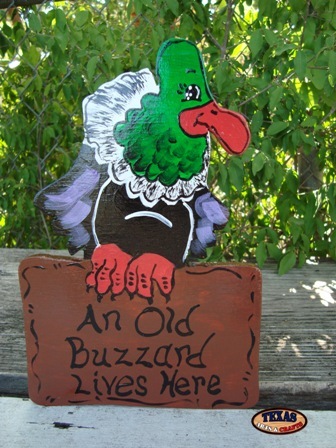 It has a green, black, and white buzzard painted onto the yard sign. The sign reads An Old Buzzard Lives Here. The dimensions are approximately 9.50 inches tall by 6.25 inches wide by 1.50 inches deep. The sign has a 32 inch stake. The sign weighs approximately 2 pounds with packaging. For the continental U.S. shipping and handling is included in the listed price. For shipping outside the continental U.S. please contact us through our Contact Us page. 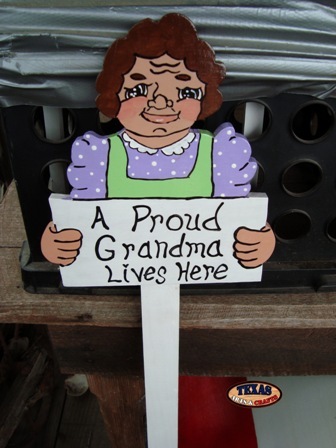 The Purple Proud Grandma Sign is built in our workshop. It has an old woman with a purple blouse and a green apron. The sign reads A Proud Grandma Lives Here. 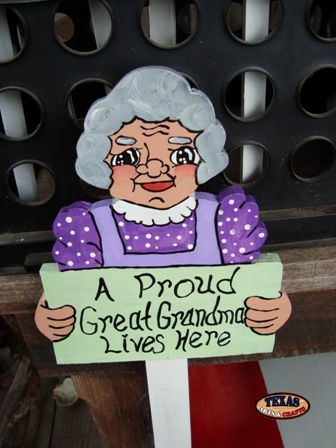 The Purple Proud Great Grandma Sign is built in our workshop. It has an old woman with a purple blouse and a light purple apron. The sign reads A Proud Great Grandma Lives Here. 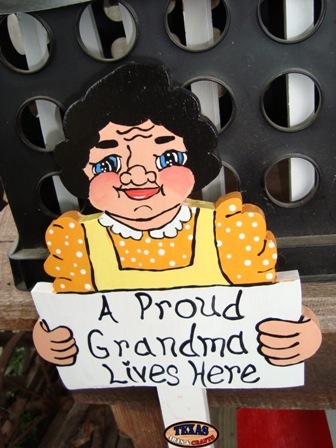 The Yellow Proud Grandma Sign is built in our workshop. It has an old woman with a yellow blouse and a light yellow apron. The sign reads A Proud Grandma Lives Here. 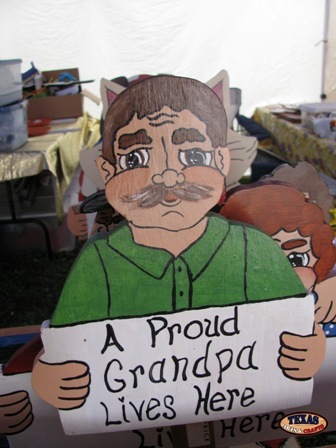 The Blue Proud Grandpa Sign is built in our workshop. It has an old man with a blue shirt. The sign reads A Proud Grandpa Lives Here. The Proud Grandpa Green Shirt Sign is built in our workshop. It has an old man with a green shirt. The sign reads A Proud Grandpa Lives Here.